The National Bargee Travellers Association (NBTA) opposes Canal & River Trust’s new policy for boaters without a home mooring. 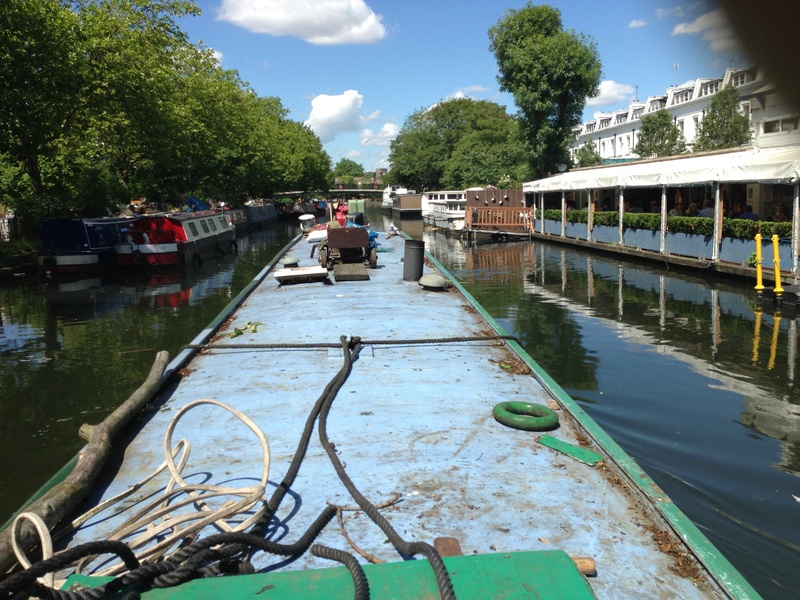 Canal & River Trust (CRT) declared last week that from 1st May 2015 it will refuse to re-license all boats that “don’t move … far enough or often enough” to meet its Guidance for Boaters without a Home Mooring – unless they take a permanent mooring. The NBTA will take whatever steps are necessary to defend bargee travellers against this new attack on the right to use and live on a boat without a home mooring. CRT is effectively proposing to evict thousands of live-aboard boaters without home moorings from its waterways. We invite anyone who is worried or concerned about this threat of mass homelessness to join us. CRT receives significant income from moorings and this move highlights how the marina lobby has been pressurising CRT and complaining about boaters without home moorings. British Waterways Marinas Ltd (BWML), a wholly-owned subsidiary of CRT, has put a great deal of effort into gaining residential planning permission for berths which it can sell at a premium. In 2013-14 BWML generated over 1.7 million in income for CRT. The NBTA believes CRT’s new policy is designed to maximise BWML’s income by forcing boaters who can afford it into moorings. Marina operators have put considerable pressure on CRT including complaints about the number of boats without home moorings. Marinas are finding it harder to make a profit because the market is now oversupplied with leisure moorings due to CRT and [previously] British Waterways’ greed in encouraging the development of new marinas. CRT claims that there is congestion in certain waterway areas which it implies is caused by overstaying boats without home moorings. However, there are long stretches of waterway around the country where boats cannot moor because of collapsed banks, shallow water and concreted towpaths. If there is a genuine problem with congestion, all CRT has to do is carry out basic maintenance so that moored boats can spread out. If boats are overstaying, CRT already has sufficient enforcement powers to deal with this. It is not within CRT’s legal powers to enforce its draconian new policy. It sets requirements that go beyond what is stated in the British Waterways Act 1995. How often boats should move is clearly stated in the 1995 Act, but the law contains no requirement to travel a minimum distance or to follow any specific cruising pattern beyond the 14-day limit. CRT itself has not stated what distance it considers “far enough”. Indeed, in December 2012 CRT’s own Towpath Mooring Q and A conceded that CRT would be acting beyond its powers to set a minimum distance. The 2013 judgement in the case of CRT v Mayers confirms that it would be unlawful for CRT to set a minimum distance that continuous cruisers must travel to comply with the law. HHJ Halbert stated that repeated journeys between the same two places would be “bona fide navigation” if the boater had specific reason for making repeated journeys over the same stretch of canal, and that any requirement by CRT to use a substantial part of the canal network was not justified by the 1995 Act because the requirement to use the boat bona fide for navigation is “temporal not geographical”. The new policy is likely to include the publication by CRT of maps which purport to define the places boats without home moorings must move between in order to be in a different place. In drawing these maps CRT has interfered with centuries of history and geography by deleting the names of many towns and villages and absorbing them into other places. “Place” is not defined in the 1995 Act. Boaters without a home mooring are simply required not to remain continuously in any one place for more 14 days. If you are subject to CRT enforcement, if you disagree with this policy or if you have had enough of CRT’s harassment of itinerant live-aboard boaters, join the NBTA in challenging CRT’s unlawful actions. The National Bargee Travellers Association (NBTA) is a volunteer organisation that campaigns and provides advice for itinerant boat dwellers on the UK’s inland and coastal waters.